In the hands and mind of Anouk Kruithof , book art is made to sound intimate notes (Automagic, 2016) and grand notes (Enclosed Content Chatting Away in the Colour Invisibility, 2009 ongoing). She has packed so much art, enterprise and life into her life that it is hard to find sufficient time and resource to keep up with her activity. In 2017 and at the turn of 2018, a flurry of commentary arrived to mark her show ¡Aguas! at Foam Fotografiemuseum in Amsterdam. A fortunate effect of social media and the Web is that current news seems to pull retrospective links in its wake. For Max Van Steen’s perceptive review of AUTOMAGIC (pictured above), click here. Alicia Martín’s installation, called Biografias, has appeared in Madrid, The Hague, Cordoba, Linz and Valencia. 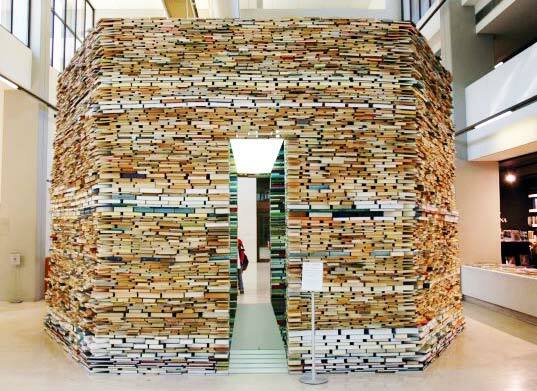 The torrent of defenestrated books is made of over 5,000 titles fixed to a wire frame. 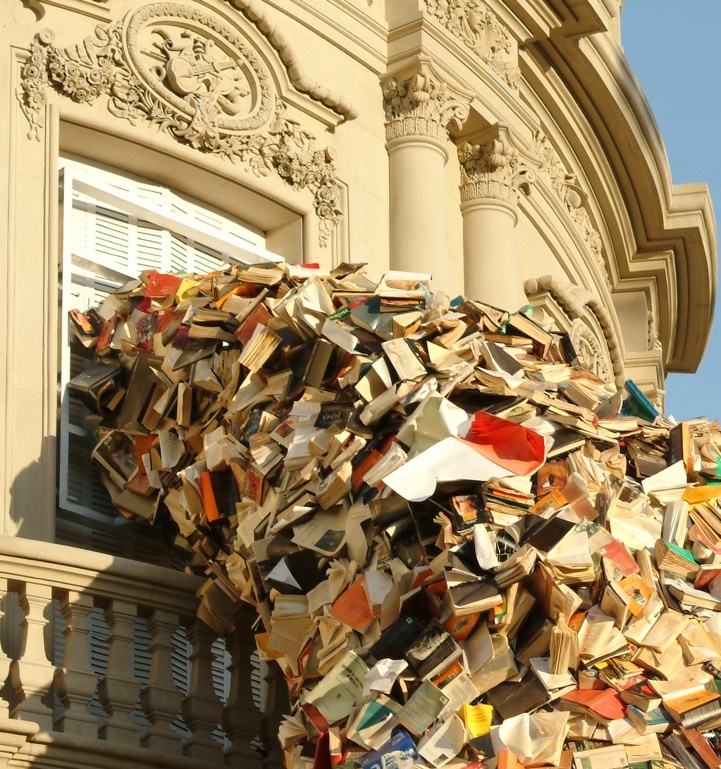 Matej Kren is another book installation artist, whose thoughtful, towering installations have been featured in Prague and numerous other cities in this hemisphere. Although Brian Goggin does not use actual books as his material, his works in bronze, polycarbonate, steel and LED prompt reflections on books, language, the transmission of ideas, permanence and impermanence. Looking back to the late 19th century, you will find that Myanmar can lay claim to the world’s largest book. 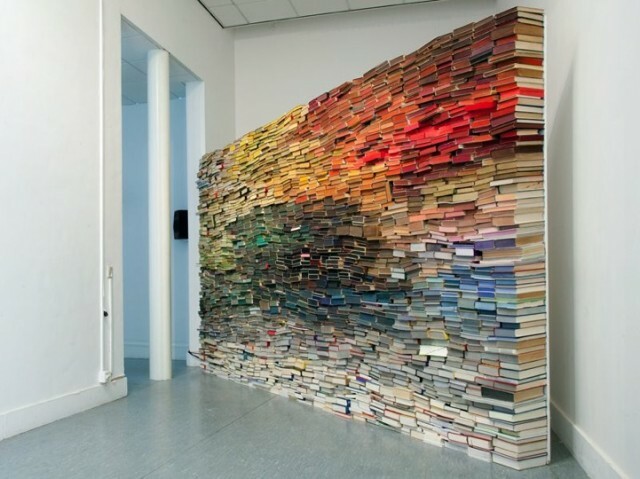 For other large-scale book art installations and why they might be enjoyable, take a look here.